Today's and tomorrow's motion control applications all have one need in common: reliable and accurate positioning feedback. Autotech Controls, built on the technology of position feedback over the past 40 years, continues to ensure precise machine control through it's line of Incremental and Absolute Rotary Encoders. Encoders are used in mechanical motion applications to determine the position, speed and direction. Many of industrial control systems today need to be able to get the position and speed feedback in rugged environments in order to operate. Such applications/industries include: metal stamping, can manufacturing, steel, tire, plating lines, drag lines, earth moving machinery, farm machinery, conveyors, oil drilling, packaging, dam/gate control, assembly, medical, dairy, food processing, semiconductor manufacturing, cranes, military, tank-turrets, textile, converting, printing, palletizing, ware-house control and numerous other industries. The most commonly used and simplest encoders are Incremental Rotary Encoders. 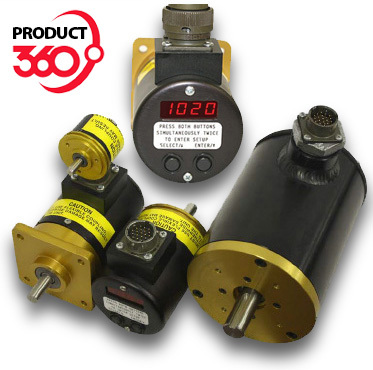 The Incremental Encoder accomplishes this by producing one pulse per increment of machine shaft movement. By rotating an internal etched disc in the path of a photo-detecting light source, the Incremental Encoder maintains accurate shaft position generating a pulse per revolution. Therefore, an Encoder with 720 counts per revolution produces 720 pulses in one complete shaft rotation. By maintaining the number of pulses per shaft rotation, the position of the machine shaft is determined relative to machine zero. Absolute Rotary Encoders are best suited for applications where the machine shaft position is crucial to maintain during power outages. Absolute Encoders produce and retain a distinct output (Binary, BCD, Grey code) for shaft position as opposed to generating a pulse as is the case with Incremental Encoders.